The Arts and Crafts style is one of my favourites. 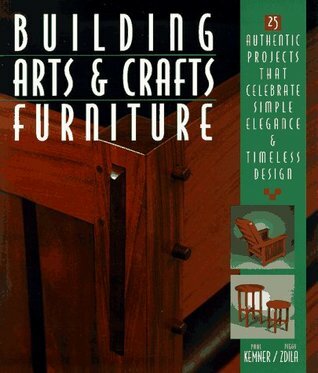 There are several projects in this book that I want to complete - in miniature. Paul Kemner Peggy Zdila - Paul Kemner collects unusual geeky hobbies and is a lifelong reader of Science Fiction & Fantasy. He lives with his wife, several cats, a box turtle, and numerous fish in the Great Black Swamp region of Ohio. His goal for the Egypt books is to write exciting and entertaining stories that an Egyptologist won't fling across the room.